One Piece Chapter 921 was one of the best chapters so far & I was stunned to see so much unexpected to appear in this episode. This also makes it obvious that One Piece chapter 922 will show the most epic chapter on One Piece Series. No one really expected Kaido’s appearance in the last chapter & this boost up the excitement. This also makes it clear that Kaido is a Mythical Zoan Dragon. 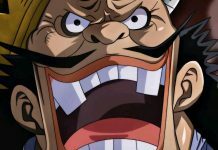 In this Article, we are going for an open discussion with our readers on One Piece Chapter 922. Spoiler for this chapter is not yet out & hence we are going to talk about our expectation of this chapter. 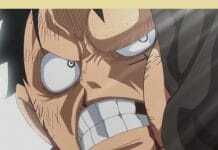 Seeing Kaido in middle of the battle was so unexpected & we believe that he won’t fall into the battle. If we see Kaido in the battle, then it is sure that this will be an end of Luffy & others. Now talking about the Brats Kaido we feel that is talking about Shutenmaru. We believe that in Chapter 922 we will see the glimpse of his power. It is quite obvious that we will have to wait to see Luffy and his new alliance to face Kaido in few chapters. Whereas Luffy’s alliance is considered, we might see that happening in the coming few chapters. 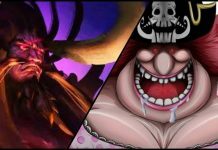 This also brings into notice that the final battle between the alliance & Kaido will be an intense battle. This can be more intense than the Big Mom’s arc. The good thing is that One Piece chapter 922 is not delayed & will release on 27 October on their regular timing. This episode will bring us a lot of information about the Wano Arc.